Al Fresco is the italian meaning for dining outdoors. You can relax and enjoy painting this beautiful floral deign in plum and violet. 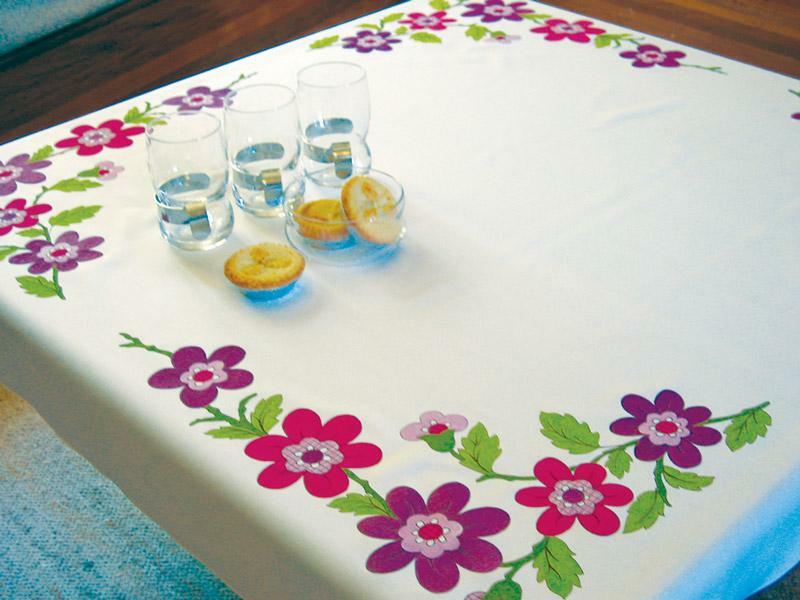 This Al Fresco Tablecloth is also great for beginners as it's very easy to paint with no blending required. 28, 43, 67, 76, 82.